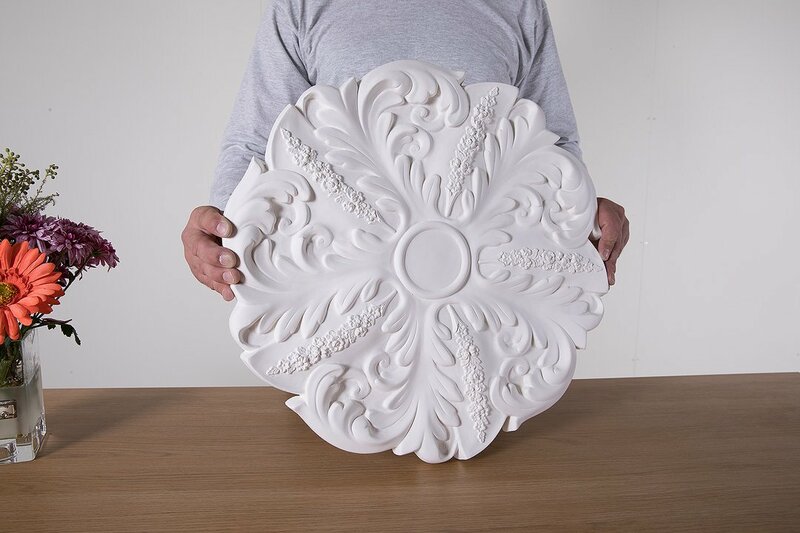 Victorian ceiling rose made up of curved acanthus leaves originating from a region of Leighton. The design is very clear as the rose does not come in a classic round shape. It would make the ceiling very eye-catching. However, because the rose is ornamental itself, it will look good with plain cornice rather than something decorative. This centre-piece comes from a Yesteryear range of products.